Eyedol – Exclusive mix for bejbi.se. The 35:th of our series of exclusive mixes..
Click ”see the rest of this entry” to read more about Eyedol and to download the mix. Eyedol , aka Dante Konarski-Svensson was born May 18, 1982. Eyedol discovered electronic dance music when he was around 11 years old with being introduced to the band Prodigy. 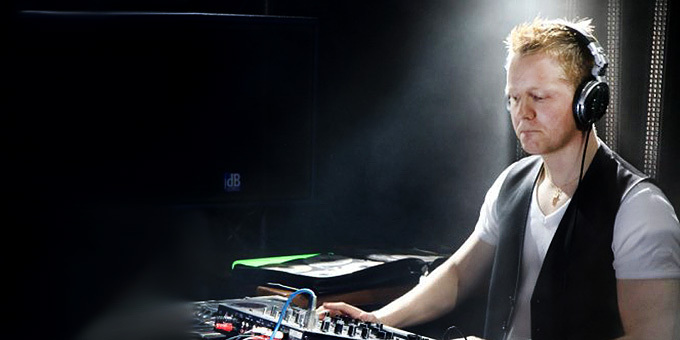 He came in contact with trance in the beginning of the 21:st century, and attended his first real trance event in 2003. In 2007 the passion and love for trance had grow so strong to Eyedol that he decided to buy his own dj equipment gear to learn how it works and hopefully play the tracks he liked the most for a crowd one day. The dream seemed far away but about a year later Eyedol got his first real gig when he played on one of the famous Monday Bar cruises, at their “Future Lounge” floor. Up until this date Eyedol has played on a total of 3 “future lounge” floors for Monday Bar and also had some gigs for the Swedish club “360”. Eyedol is recognized for delivering uplifting trance that gives the crowd a hard time standing still on the dancefloor, combined with tracks containing beautiful breaks and epic buildups. This exclusive mix Eyedol have made on his cd decks for Bejbi.se should give you a hint on what you can expect when he is performing live. Now he is the 35:th out for a series of exclusive mixes recorded for bejbi.se by our favorite dj´s, both well known, and unknown, that we will publish once a week untill we run dry. Download Eyedol’s Exclusive mix here (right click and save as) or listen to it live on Soundcloud or just press play below here. If you want to hear more of Eyedol’s work check out his homepage for mixes where he regularly put up new episodes of his “The Blue Traveler” series, letsmix.com/eyedol and become a fan on his facebookfan-site.